The battle is always raging. Unrighteousness tries again and again to drive out the blessing of God, while righteousness battles against the dominion of sin. The result of the first is slavery and death; the fruit of the second, freedom and life. So we should be as persistent as Balak. He sought Balaam’s help, not taking “no” for an answer. In our struggle against sin, do we seek God’s help—and do we continually request his assistance? Jesus has already freed us from sin, and the Holy Spirit keeps us from being dominated by sin. But Christ has not only freed us from sin, he has freed us for the purpose of being free (Gal 5:1). 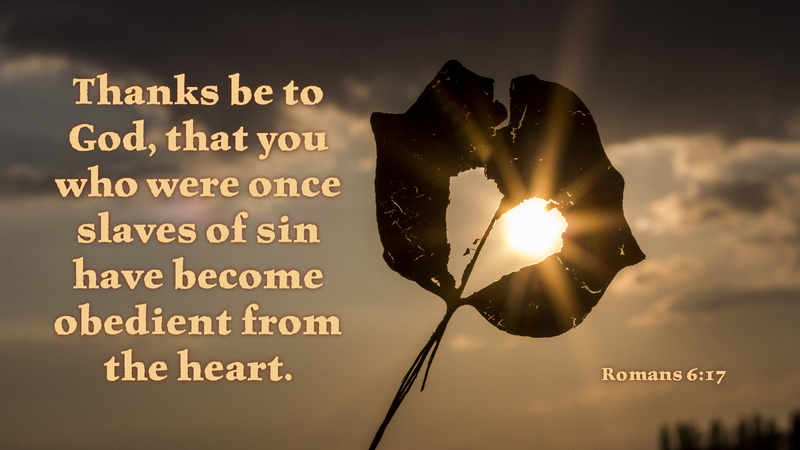 It is in our human nature to fall into sin. Yet God has given us a new, liberated nature in baptism, that knows about the freedom that comes with the forgiveness of sin through faith in Christ. We know we are forgiven, but are we slaves to Christ and his righteousness? Christ stands ready to drive out lingering sin, overturning our old lives, and freeing us for lives of righteousness and the freedom of being obedient to God from the heart. Prayer: Holy Spirit, help me celebrate my freedom in Christ by being obedient from the heart. Amen.